Real Estate has been my life's work and I am dedicated to giving my clients excellent service. I appreciate your business and value your time. My business is 80% referrals from past clients and friends. Satisfied clients are the key to my continued success and working for your benefit is what I do best! My expertise is in the Clear Lake, NASA/Bay Area, League City, and South Shore Harbour areas. As a full time professional, I am committed to making your real estate buying or selling experience an enjoyable one. 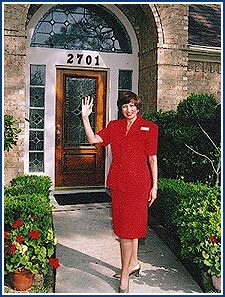 I share a long time interest in residential property with my husband, who owns a local real estate appraisal company. I am active in the local Chamber of Commerce and other civic organizations as well as being a supporter of the Children's Miracle Network. As a native Texan, I look forward to sharing with you my enjoyment of living and working in this great state! To provide a superior level of service, our team concept ensures a smooth transaction in every aspect of buying or selling your home. Sandra and her staff use the latest computer technology as well as maintaining personal communication. When you work with Sandra she insures that all of her client's needs are met. Call, text or email Sandra today!